Practice Makes Perfect. 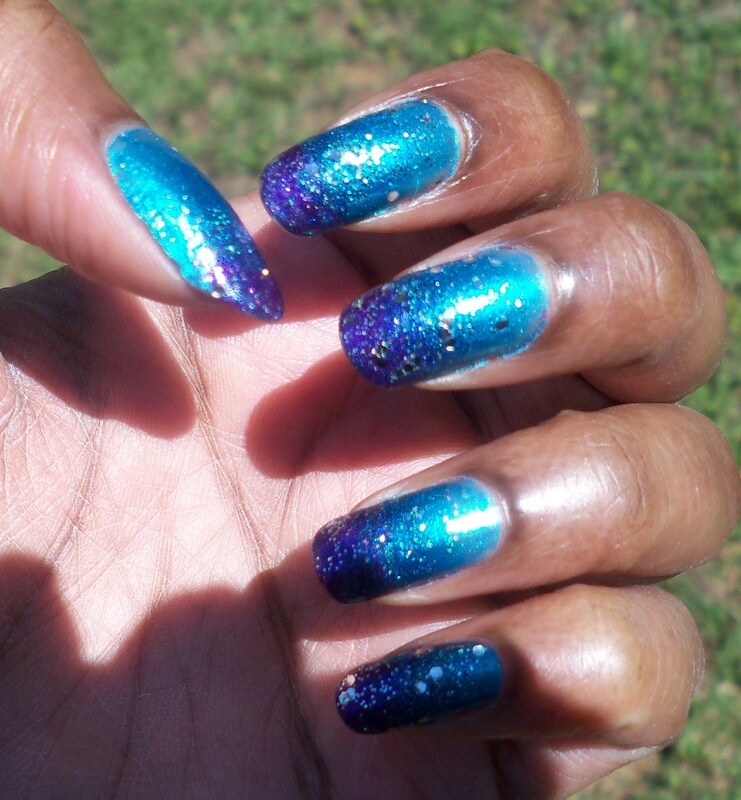 So that’s what I’ve been doing non stop with the whole ombre nail look. Once I find something I like, I put all my energy to it for a while, then I move on to something else. You may have noticed that with the watermarbling…..
Anway, I look at as more of a new technique search. Once I find out all the different ways to I can do my nails, then I will have more time to perfect them and make them my own. This is the only look I have done that was worth wearing more than a few minutes. I am finding out that patting the nail color onto the nail can leave a rough-looking finish, so glitter nail polish has been my best friend. That’s fine by me. 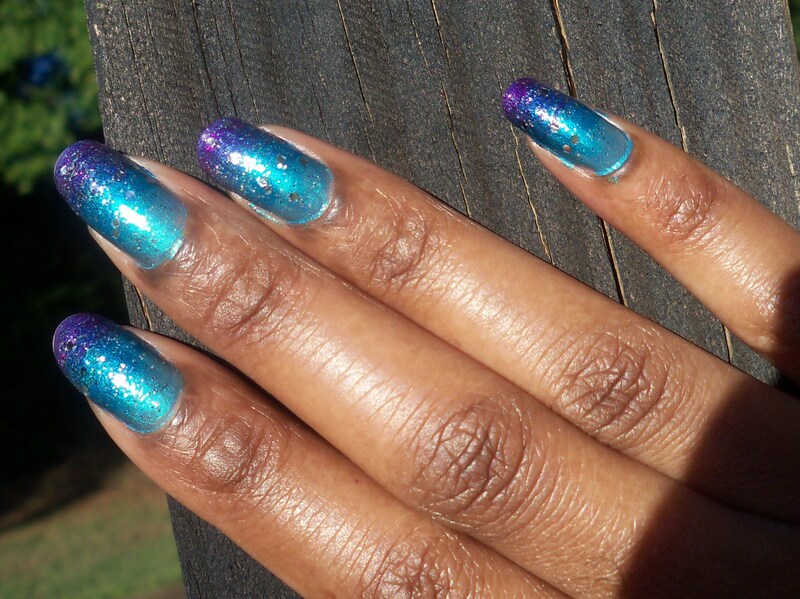 I’m a firm believer that every nail color should have a corresponding glitter color, so I have plenty.